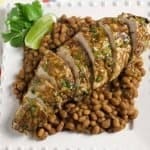 Instant Pot Salsa Verde Turkey and Beans is an easy, healthy, and economical meal made with turkey tenderloins and dried white beans. Put dinner on the table in only 40 minutes! Since becoming the proud owner of an Instant Pot, I’ve cooked a full 5 course meal in less than 15 minutes! 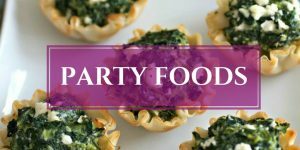 I may be over exaggerating a teeny tiny bit, but if you own an instant pot, you know what I’m talking about. It doesn’t really take too much longer than that when an IP is around. This healthy instant pot recipe is so simple and easy to make and more time is spent making the turkey spice rub than anything else. Plus, I used inexpensive (unsoaked too!!) dried beans instead of canned…and they cooked up like a dream. Fast, healthy, and easy on the checkbook is always a win-win in my household. and I absolutely love it! It was an early Christmas present and I have been cooking everything in it from lamb to fresh artichokes. The Instant Pot is a multi-cooker that is a combination slow cooker/pressure cooker/sauté pan/steamer/warmer/rice cooker/yogurt maker. It’s basically a cooking wonder that makes meal time pretty much effortless and cooks the food in a fraction of the normal time. For added convenience, there’s a bunch of pre-set buttons, like “soup” and “chili” and “poultry”, so whatever or however you want to cook something, just put it in the pot, add some seasonings, and hit a button. There’s also a manual button if the right pre-set button isn’t available. This cute little pot is a serious energy efficient green machine too, as it uses 70% less energy to cook! Freakin’ nonstop winning over here. By the way, this is NOT a sponsored post, I am just so in love with my pot and want everyone to know. One of my favorite features is the slow cooker option, but this isn’t like any old crock pot. With the IP, just throw in all the ingredients in the morning, lock the lid, and select a cooking function button. Then go about your day and, when you come home at night, your meal is perfectly cooked and kept warm until the lid is opened. AND if there’s extra liquid in the pot, just press the sauté button and reduce it to a thick sauce. Ain’t no crock pot working like that for ya..
Of course, during the two months I’ve owned this magic pot, I’ve made lots of Mexican type dishes (like this, this, and this…pretty much every #tacotuesday). 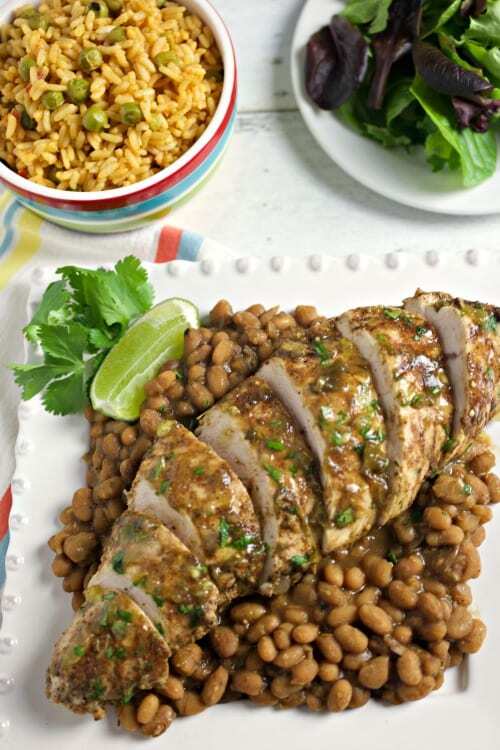 This salsa verde turkey and beans recipe came about when I had less than an hour to make dinner. 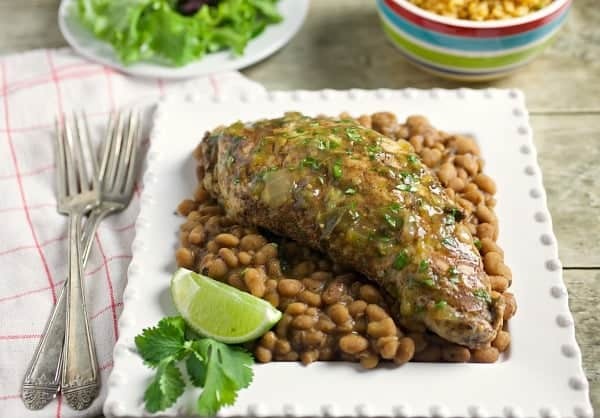 After searching the refrig and pantry, I rubbed 2 turkey tenderloins with a homemade spice mixture, then placed them on top of a pound of rinsed dried small white beans and a sliced whole onion, added some chicken broth and a little leftover salsa verde. Put the lid on, pressed a button, and BOOM!…40 minutes later, dinner is done. The turkey tenderloins were juicy and the white beans were tender. It’s a beautiful thing, especially when you don’t feel like cooking or have anything planned. This pot is a procrastinator’s dream. Get on board the fast and healthy cooking train with this Instant Pot Salsa Verde Turkey and Beans and enjoy all the extra free time on your hands that you aren’t spending in the kitchen! 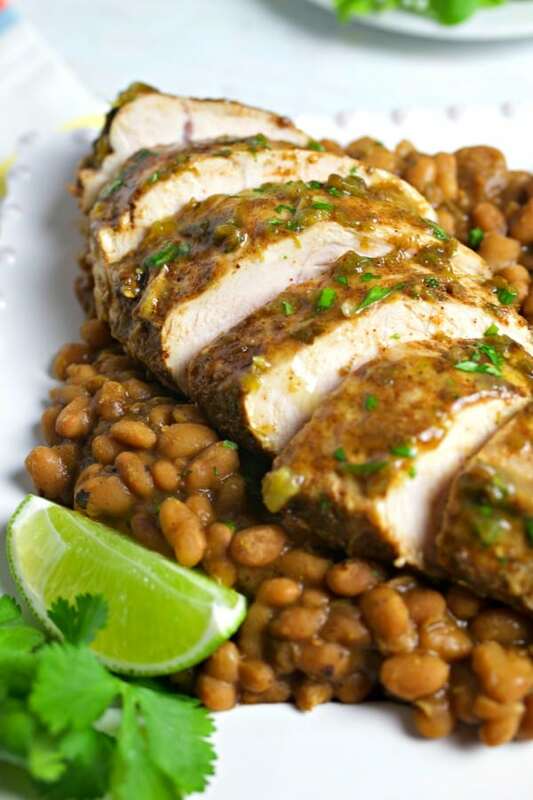 An easy, healthy, and economical meal made with turkey tenderloins and dried white beans. Ready in 40 minutes! Place the turkey tenderloins on a plate and set aside. In a small bowl, make the dry rub by mixing together all the spices & herbs (chili powder through cumin). Rub both tenderloins with the rub and set aside. In a 6 quart Instant Pot, place the washed white beans in the bottom and add chicken or vegetable broth to just cover the beans (about 3 to 4 cups). 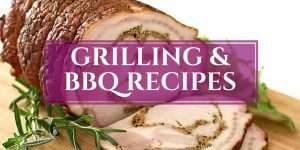 Place the sliced onion on top of beans and then add the seasoned turkey tenderloins. Pour the salsa verde over the turkey. Cover with the Instant Pot lid; make sure it's locked and steam value is in the closed position. Select manual button, high pressure, for 40 minutes. When finished, wait 10 minutes for Instant Pot to cool down or release pressure manually by taking a hand towel and carefully opening up the steam value on the lid. It is safe to open once all steam has been released. Remove the turkey to a cutting board and cut into 1 inch slices. Place all the beans with the onions on a platter and place the sliced turkey on top. 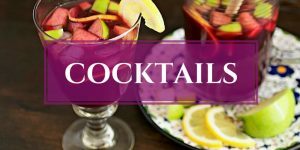 Serve with optional accompaniments, if desired. 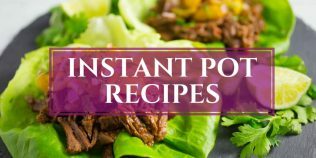 I have been reading about the Instant Pot everywhere – so glad to hear that you are enjoying it! I need to get myself one. Especially so I can this amazing salsa verde turkey! I love the salsa verde flavor, and the ease in which this meal can be made is an extra bonus, especially for weeknights. Love! This looks completely delicious. YUM. 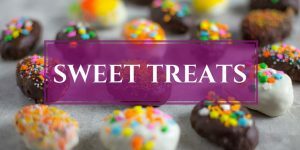 All flavors I love and looks like something that can be super budget-friendly. I have to say, I love that you mentioned the energy efficiency of the Instant Pot. That’s one of my favorite things about it. I try to be really conscientious about our energy consumption and this appliance really helps with that! Karrie!! I love when you find an appliance that really works and does it beautifully! I got a similir thing but it’s a blender that cooks and steams, and I am in love too! thes dish looks amazing and the beauty of it that was almost effortless! I am so glad for you! I love this Karrie! I can’t wait to try it out in my Instant Pot. This will be perfect for my make-ahead meals! 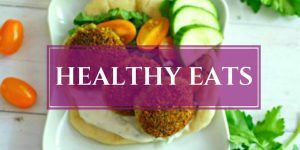 It is healthy, easy, and quick! Yum. Dried beans? Without soaking? For 40 minutes? Karrie, this indeed sounds unreal. Congrats – you’ve got a fantastic machine:) And of course I like this dish – so simple, so hearty, so earthy, and delicious! Even though this is hardly a THANKSGIVING recipe… Whenever I see turkey, I think THANKSGIVING… WAHHHHH!!! LOL! Thanks a lottttttt! I love the appliances which do what they are supposed to do. I have heard about instant pot, and love the fact that it can cook dry beans without soaking. Absolutely loving this fabulous machine. 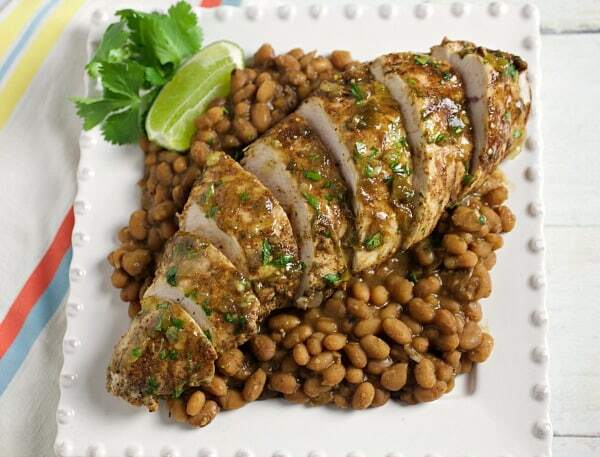 And this salsa verde turkey and beans look wonderful sound delish. 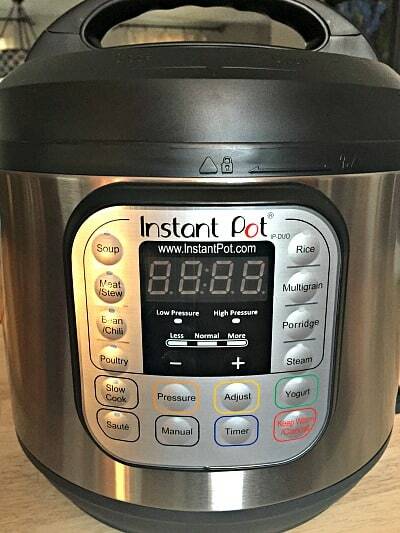 I clearly need this magical Instant Pot procrastinator’s dream business in my life. If I had one, I would not be sitting here right now wondering what to make for dinner. 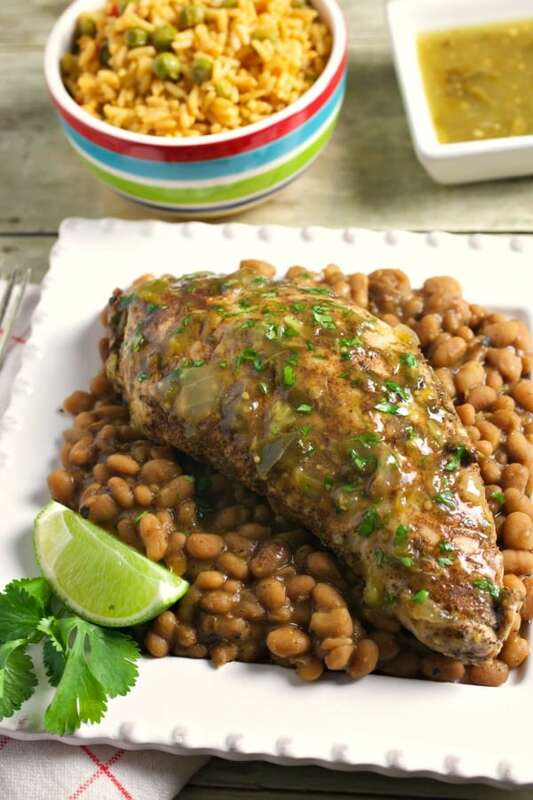 I would know that my salsa verde turkey and beans would be waiting for me when I get home. I guess I must be living under a rock as I’ve not heard of the instant pot. 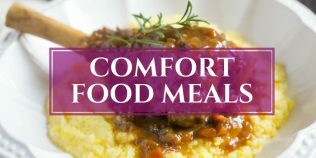 What a flavorful meal you created using it.